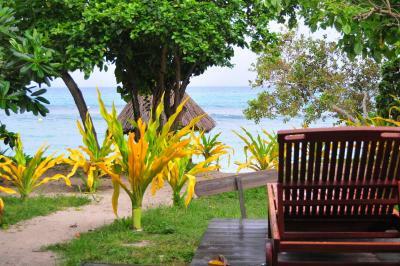 Lock in a great price for Blue Lagoon Beach Resort – rated 8.6 by recent guests! The staff were excellent and all about customer service. Thru had a great ability to remember names! WONDERFUL RESORT, AMAZING FOOD, FRIENDLY STAFF - WILL DEF BE BACK! 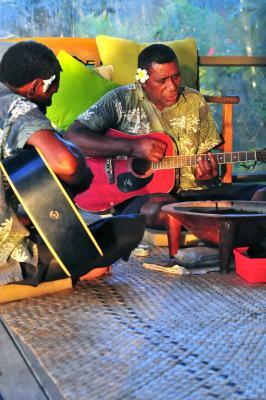 Night guitar playing and Kava. The snorkeling right off the beach was excellent. Poor construction of villas and lodges, hard to guess your spendings when everything (food and drinks mainly) you can’t pay in spot. Most disappointing is after check out I requested ice cream for my kids, but they refused and advised to pay in main office which is 50M away. All old poor villas with no renovation or regular maintenance. Cost is huge with what you get. The managment and staff were so friendly and helpful during my stay. 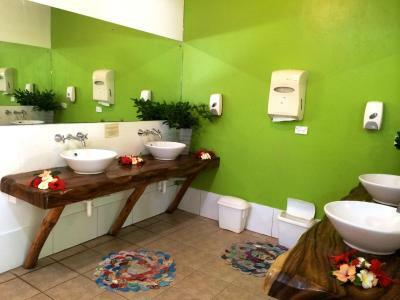 Food was delicious and worth it(USD)bed was comfortable,I went knowing I'll be sharing bathroom/toilet,it didn't bother me at all. Best birthday trip vacation. The beach is stunning and I recommend this resort. Staff amazing and friendly. food plan was wonderful and loved our stay out here. 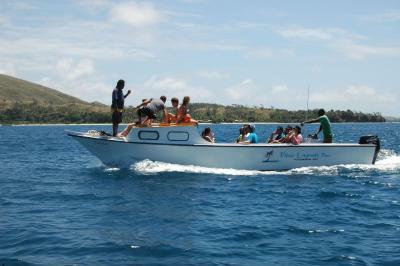 boat ride to the location was great, you get to see the beautiful waters of fiji and so relaxing. The location was stellar and we were quite surprised that with the fan (no A/C for us) in our lodge it was quite a comfortable temperature to sleep in at night. We enjoyed the freebies (kayaks, SUP, quite a few of the daily activities) and were quite happy with our stay. 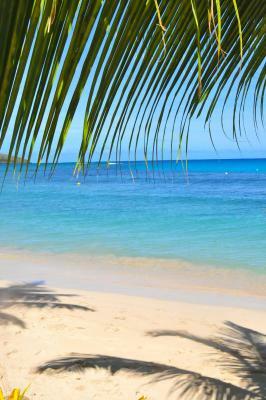 Great resort for snorkeling and water activities if the weather cooperates. 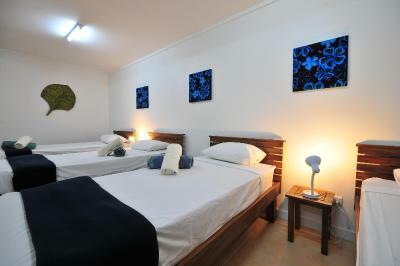 The property is well organized with almost hourly activities to choose from (for an additional fee). 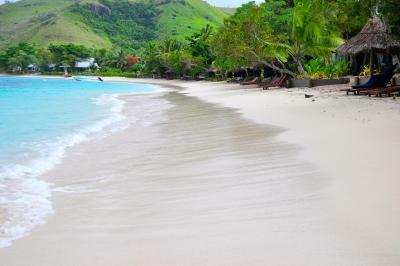 Beach is lovely as well as snorkeling that is right there. Having an option for occupants from low cost options (dorms) and high cost options (villas) to interact with each other if they so choose adds to the feel of the place. At times it reminded me of the cult movie The Beach (minus the shark attacks). 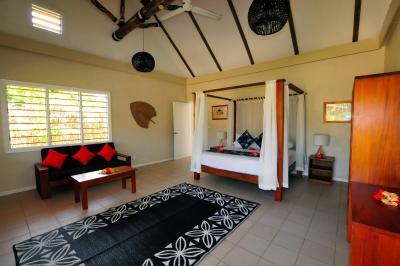 Blue Lagoon Beach Resort This rating is a reflection of how the property compares to the industry standard when it comes to price, facilities and services available. It's based on a self-evaluation by the property. Use this rating to help choose your stay! 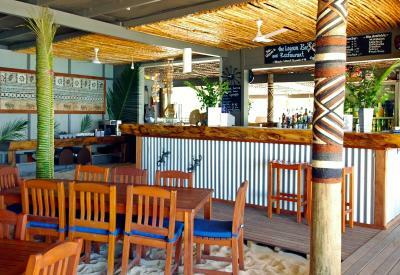 In the Yasawa Islands, alongside a white sandy beach, Blue Lagoon Beach Resort features a restaurant and a bar. 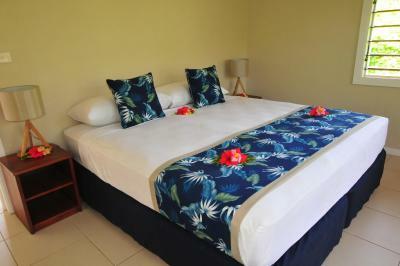 All accommodations have Fijian décor and offer lovely garden or sea views. 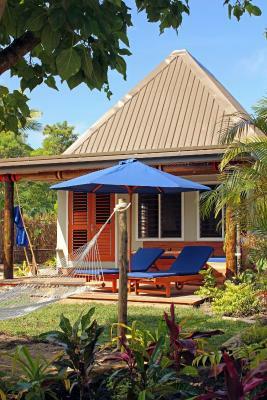 Guests can enjoy swimming, snorkeling and kayaking on site, or just relax on the beach with a book and a cocktail. 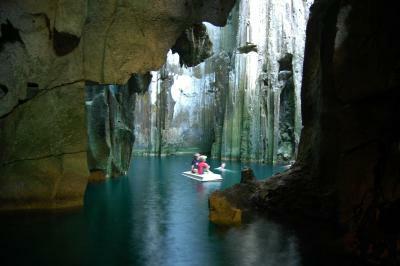 The tour desk arranges limestone cave trips and Nacula Island Village visits. 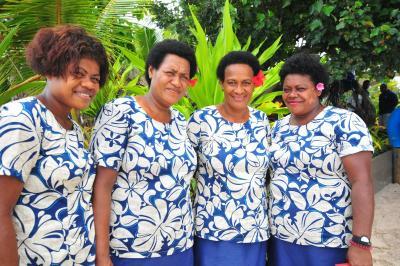 The beachfront restaurant features panoramic ocean views and live performances of Fijian music each night. 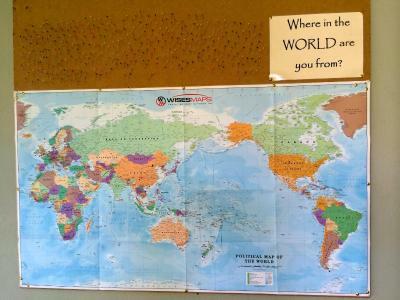 It offers international and Fijian cuisine. The bar serves a range of beer, wine and spirits. 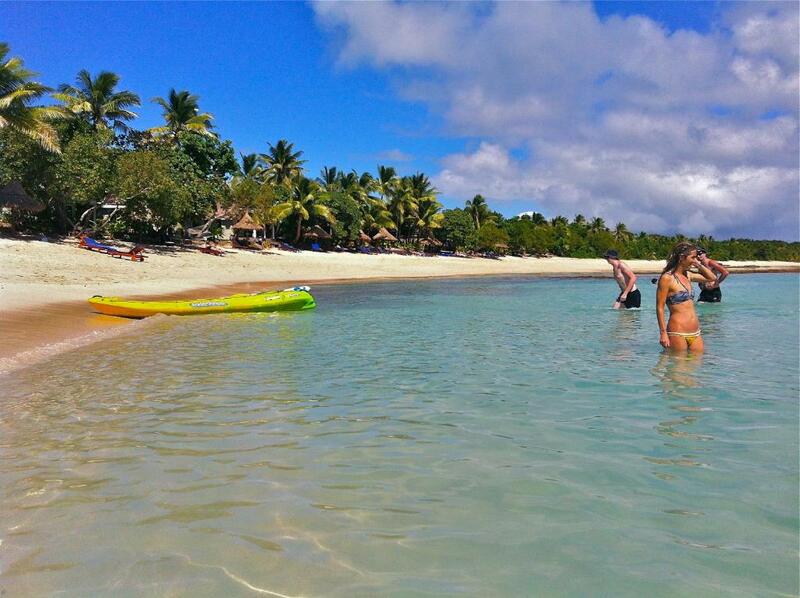 Blue Lagoon Resort is a 10-minute boat ride away or a 45-minute walk from Nacula Village. 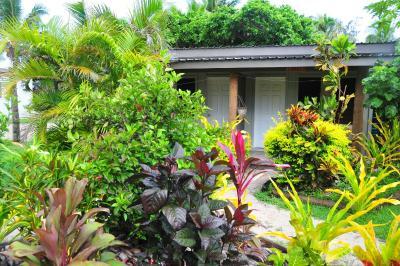 There are several cultural activities and excursions available on the island. 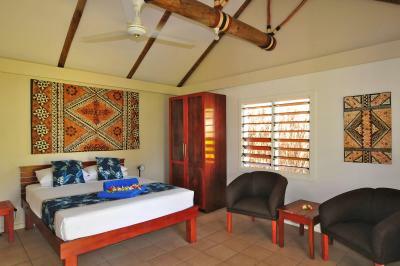 When would you like to stay at Blue Lagoon Beach Resort? This room features a private patio offering garden views. It includes a ceiling fan and bedside tables. Please note that this room can strictly not accommodate more than 2 guests. Please note that children under 18 years of age cannot be accommodated in this room. 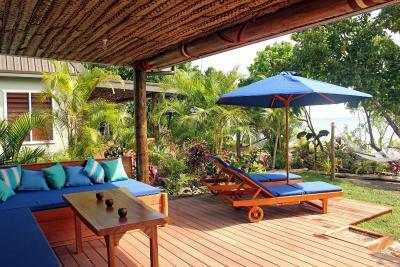 Situated among tropical gardens, this villa is just feet from the sand pathways leading to the beach. 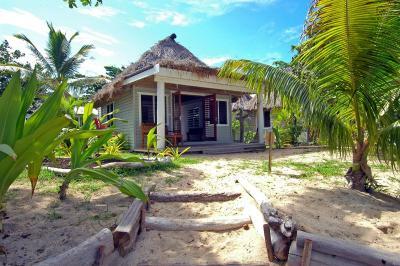 It has a spacious living area and an open-air bathroom. 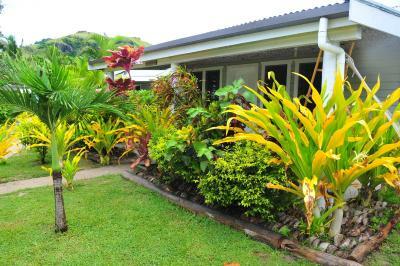 Located in a quiet tropical courtyard, this villa features garden views and an open-air tropical bathroom. Please note that the maximum occupancy is 5. 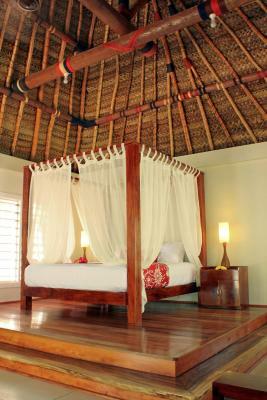 Located directly on the beach, this villa offers a separate room for children which has a built in bunk bed. Maximum occupancy 2 adults and 2 children. 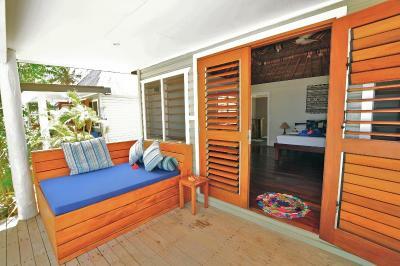 This beachfront villa is an open plan room with timber flooring. Maximum occupancy is 2 adults and 2 children. 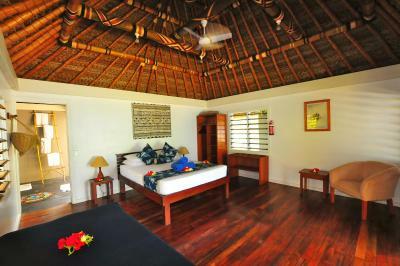 This luxurious villa offers 2 large bedrooms that can accommodate up to 2 adults and 4 children or 5 adults. 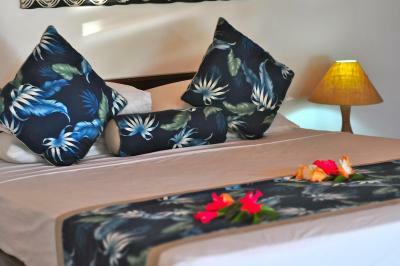 House Rules Blue Lagoon Beach Resort takes special requests – add in the next step! 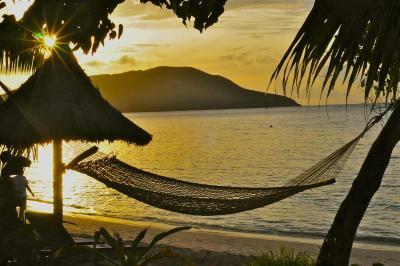 Blue Lagoon Beach Resort accepts these cards and reserves the right to temporarily hold an amount prior to arrival. From 1 August 2017 the meal plan is 119FD. The fee is not included in your accommodations, and consists of a full board meal plan. Where applicable, children between the age of 5 - 12 inclusive will be charged a 89 FJD resort fee for a full board meal plan (per day) per child. 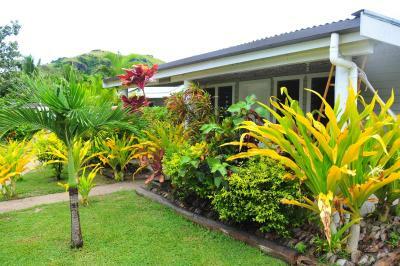 (operated by Awesome Adventures) cruises through the entire island chain and departs once a day from Port Denarau at 8:45 and and arrives to the resort at approximately 13:30. Check-in is required 30 minutes' before departure. 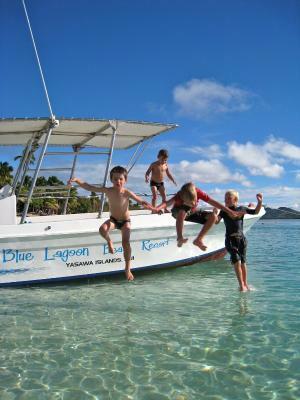 The Yasawa Flier departs the resort to arrive back at Port Denarau on the mainland once daily and arrives at 18:00. Please note that there is a 2.9% charge when you pay with a credit card. The mandatory meal plan is far too expensive for what you get. Most of the staff is super friendly and efficient, but unfortunately this is not the case with everybody. Snorkeling in the hose reef is just OK.
Amazing remote island. House keeping is excellent. 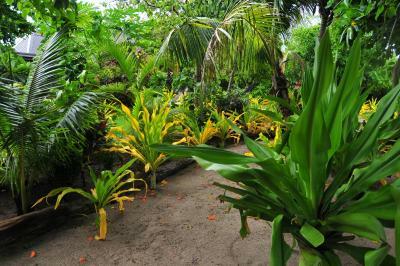 Garden bure can get very hot at night. 4:30 hours ride to the resort is worth it. The beach is very nice and so is the sparkling blue lagoon. Snorkeling is better in Octopus resort. Food is fantastic. too much flies in the dinning area. 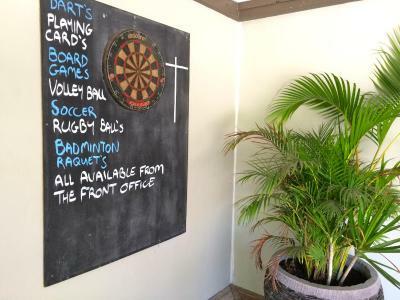 beautiful location, friendly staff, good quality food. 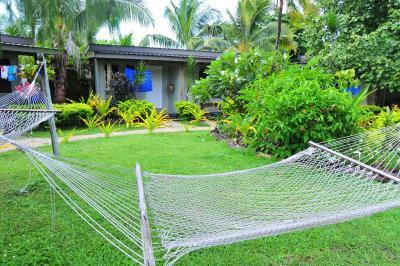 very friendly staff, nice beach, delicious food and the reef just at the beach is awesome! Naturally, resorts are different. This does not apply to a huge "leisure factory" with huge swimming pools, dancing in the evenings, and entertainment animators. 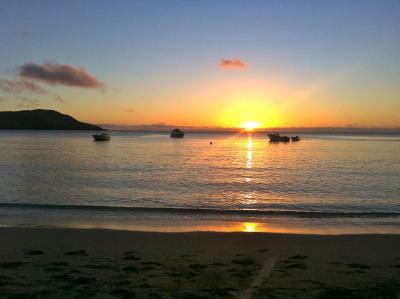 blue Lagoon beach is a quiet place to spend a few fantastic days in good company. That's great! 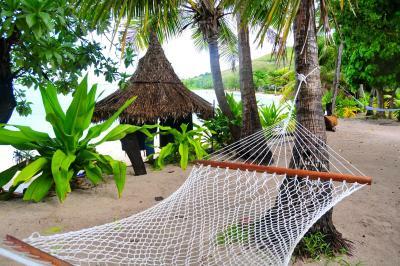 The Yasawa island group is a great place and this resort is excellent. The staff and all the staff were really friendly and welcoming. Beach is nice. Excellent snorkeling starts 10 meters from the shore. 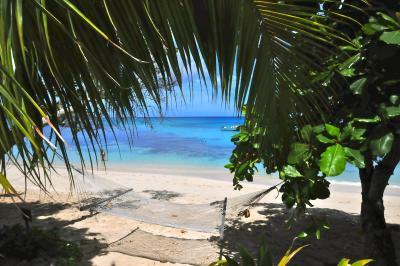 Many fantastically beautiful reefs for diving and snorkeling. Food is excellent. The guys who sang guitar in the evenings were very nice. Wifi was chronic, really terrible. It was patchy at best anyway, and then after the first day it totally stopped working anywhere. Villa was so fabulous, brilliant rooms with air con and loads of space. 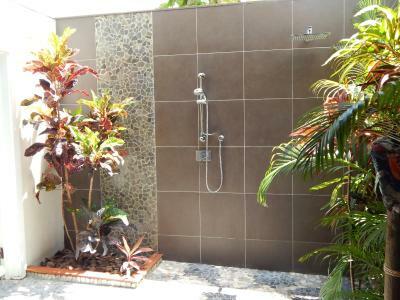 Brilliant outdoor shower area. Food options were great in meal plan. Staff brilliant. Massages unbelievable! Blue Lagoon is the furthest you can travel up the Yasawas on the flyer ferry. Unless you are planning on visiting a few other islands towards the top end of the island chain, it may be worth giving it a miss. 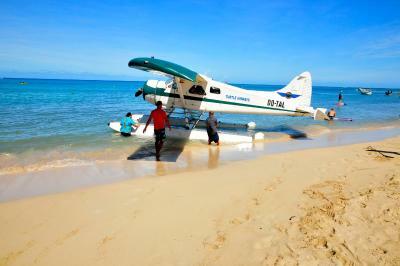 Or if you only plan on visiting Blue Lagoon, just get a seaplane transfer. It will cost more than the boat, but will be at much more sociable times and won’t take you forever!! Had a good pool area. Very nice breakfast, great food for lunch and dinner too with lots of option on the a la Carte. 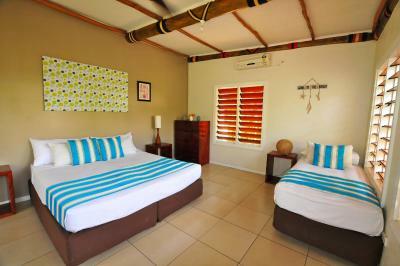 They provide you with free access to snorkelling and kayaking equipment. - having to leave - the flies were annoying but it is an open air restaurant - having to leave! * delicious food, beautifully presented * great snorkelling, many many varieties of tropical fish * the sound of the ocean at night * reading/relaxing in a hammock * playing with the fish * floating on the lagoon * very comfortable day beds around the pool with filtered shade * no shoes * no day trippers * the privilege of being able to share Nacula Island with the local people VINAKA!! Kid's club could be better equipped.